The team at Brighton Dome were very attentive from beginning to end. The venue was stunning and commented on a lot by delegates. The location of the venue was spot on for our delegates to enjoy Brighton at ease but still concentrate on the science when we needed them to! Thank you Brighton Dome for your part in a successful Congress. The staff throughout were incredibly capable, helpful and professional. I love hosting my events at Brighton Dome. Our event went really well, the technical support was excellent and the front of house help was friendly and very efficient. We’d definitely use this venue again if we’re doing an event in Sussex. The team at Brighton Dome were so professional and nothing was too much trouble on the day of our event. 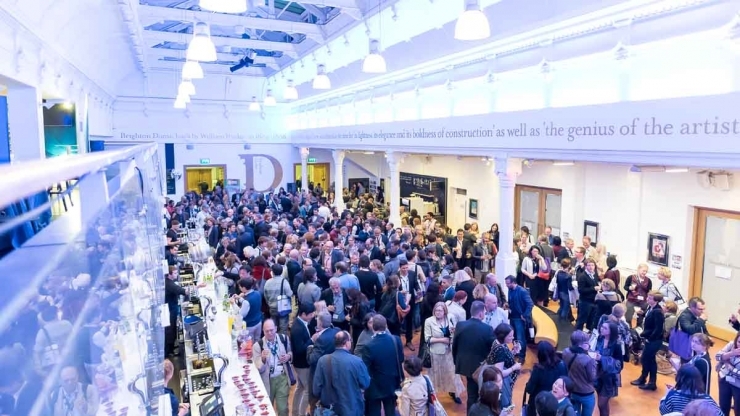 I would definitely recommend using Brighton Dome for seminars, events and meetings as the team know what they are doing and left me feeling confident that my event would be a success. Brighton Dome provided us with an accessible and smart space for our training event. Our delegates were really impressed. Brighton Dome is a magical venue that brings a real sparkle to events held there. By holding our third Brighton Yoga Festival there, we felt that we had finally ‘arrived’ as a major event in the calendar of the city. The expertise and support was first class and always gave us confidence that we could make a success of our festival. Brighton Dome is the best venue I have ever worked with. All staff have been nothing but helpful in every area, a really fantastic venue!